Posted March 13th, 2019 by Kirti & filed under PPC Chat. With the Q1 coming to a closure, this week’s PPCChat session discussed about how the quarter went, what PPCers did differently, changes by platform that have impacted this quarter’s performance and more. Julie F Bacchini hosted the session. Posted March 11th, 2019 by Amita & filed under PPC Roundup. Posted March 6th, 2019 by Amita & filed under PPC Chat. This week’s PPC Chat session was hosted by Kirk Williams which shed light on managing shopping ads, testing bidding automation solutions in Shopping Ads, and PPCers thought on smart shopping and more. Q1. Do you actively manage Shopping Ads, or, are you new to Shopping and hoping to learn more in this chat? There has definitely been a lot of change in Shopping Ads land over that past 12 months. Good to remember some of them, let’s talk bidding? Q 2. Let’s talk P12Mo Shopping Ads changes. What is new or notable that you think is worth calling out in Shopping Ads (late 2018 or upcoming 2019 changes accepted!)? Q3 . Are you testing bidding automation solutions in Shopping Ads? Any takeaways or learnings to share with the class? What do you love, what do you hate about what you have tried? Q4. In the brave new world, do you still find advanced manual bidding/segmentation strategies (or others) like Query Filtering to work for you in Shopping? Share your findings!? Q5. It’s Smart Shopping time! What are your thoughts? Like or dislike? Explain your answer? Q6. Prediction Time: If Smart Shopping / New UI happened in 2018, what do you think will be the biggest change to Shopping Ads in 2019? Q7. What do you think of Google opening up PLAs to appear in organic search? 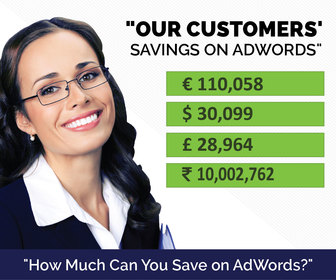 What impact do you see this having on paid Shopping Ads, if any? Q8. For those who run Shopping on Bing as well, what is something you like about Bing Shopping? What is something you would like to see changed? Posted March 5th, 2019 by Kirti & filed under PPC Roundup. Missed out on top PPC posts published in the month of February? Here’s a quick recap of what was trending. Google announced the removal of average position,more characters added to call-only-ads, bulk ad creation and editing announced for Quora Ads. This and more of such updates covered in this month’s recap of top PPC news. Posted March 4th, 2019 by Amita & filed under PPC Roundup.